Definition at line 235 of file CLReactionGlyph.h. Definition at line 384 of file CLReactionGlyph.cpp. Referenced by CLGeneralGlyph(), and clone(). Definition at line 391 of file CLReactionGlyph.cpp. References addSubglyph(), mvSubglyphs, and CCopasiVector< T >::size(). Definition at line 404 of file CLReactionGlyph.cpp. References addReferenceGlyph(), addSubglyph(), C_INT32, CLGeneralGlyph(), and CLGraphicalObject::setModelObjectKey(). add Glyph to general glyph. The general glyph takes ownership of the glyph. Definition at line 497 of file CLReactionGlyph.cpp. References CCopasiVector< T >::add(), and mvReferences. Referenced by CLGeneralGlyph(), CCopasiSpringLayout::createLayout(), and operator=(). add sub glyph to general glyph. The general glyph takes ownership of the glyph. Definition at line 491 of file CLReactionGlyph.cpp. 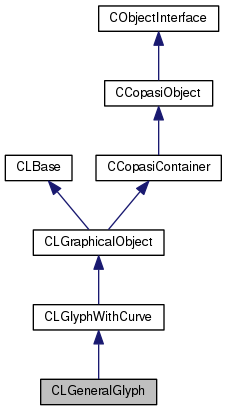 References CCopasiVector< T >::add(), and mvSubglyphs. Referenced by CLGeneralGlyph(), and operator=(). Definition at line 291 of file CLReactionGlyph.h. this exports the general glyph to a generic SBML GraphicalObject (throwing away most of the information) This should be removed once libsbml supports general glyphs. Definition at line 518 of file CLReactionGlyph.cpp. References CLMetabGlyph::exportToSBML(), CLCompartmentGlyph::exportToSBML(), CLGraphicalObject::exportToSBML(), CLTextGlyph::exportToSBML(), CLCurve::exportToSBML(), exportToSBML(), CLGraphicalObject::getModelObject(), CLGlyphWithCurve::mCurve, mvReferences, mvSubglyphs, and CCopasiVector< T >::size(). Referenced by CLayout::exportToSBML(), and exportToSBML(). Definition at line 267 of file CLReactionGlyph.h. 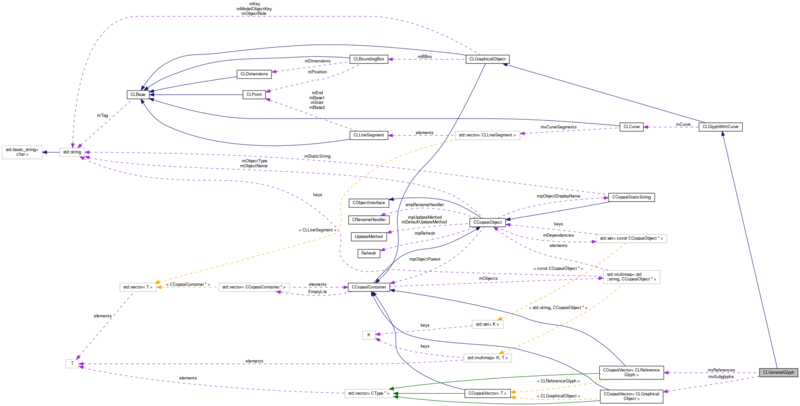 Referenced by CLayout::calculateBoundingBox(), CLayout::CLayout(), CQConnectionGraphicsItem::CQConnectionGraphicsItem(), CLayout::exportToSBML(), CCopasiSpringLayout::finalizeState(), CLLayoutRenderer::getObjectsAt(), CLLayoutRenderer::getObjectsInBoundingBox(), and CCopasiSpringLayout::getPotential(). Definition at line 270 of file CLReactionGlyph.h. Definition at line 273 of file CLReactionGlyph.h. Referenced by CQLayoutScene::addGlyph(), CLayout::CLayout(), and CLLayoutRenderer::getObjectsInBoundingBox(). Definition at line 276 of file CLReactionGlyph.h. Definition at line 503 of file CLReactionGlyph.cpp. References CLGlyphWithCurve::moveBy(), mvReferences, mvSubglyphs, and CCopasiVector< T >::size(). Definition at line 467 of file CLReactionGlyph.cpp. References addReferenceGlyph(), addSubglyph(), CCopasiVector< T >::clear(), mvReferences, mvSubglyphs, CLGlyphWithCurve::operator=(), and CCopasiVector< T >::size(). Definition at line 669 of file CLReactionGlyph.cpp. Definition at line 238 of file CLReactionGlyph.h. Referenced by addReferenceGlyph(), exportToSBML(), getListOfReferenceGlyphs(), moveBy(), operator<<(), and operator=(). Definition at line 239 of file CLReactionGlyph.h. Referenced by addSubglyph(), CLGeneralGlyph(), exportToSBML(), getListOfSubglyphs(), moveBy(), operator<<(), and operator=().